Program Philosophy: The Kidz Count Program was established to offer all youth a safe place to enhance their academic, physical, and spiritual wellness, regardless of religion, race, or economic backbround. We show our youth how sports can be a great physical AND psychological outlet. In addition, through educational and spiritual workshops, we also help our children understand the importance of being a well rounded individual. Promoting community pride is also a major component of the Kidz Count Program. Teaching our youth the importance of volunteering and giving back to the community helps to instill a sense of ownership for the community in which they live. Why We Do It: Giving every child the location and therefore the opportunity to be productive and stay out of trouble during peak "trouble" hours is important to our children's safety and success. 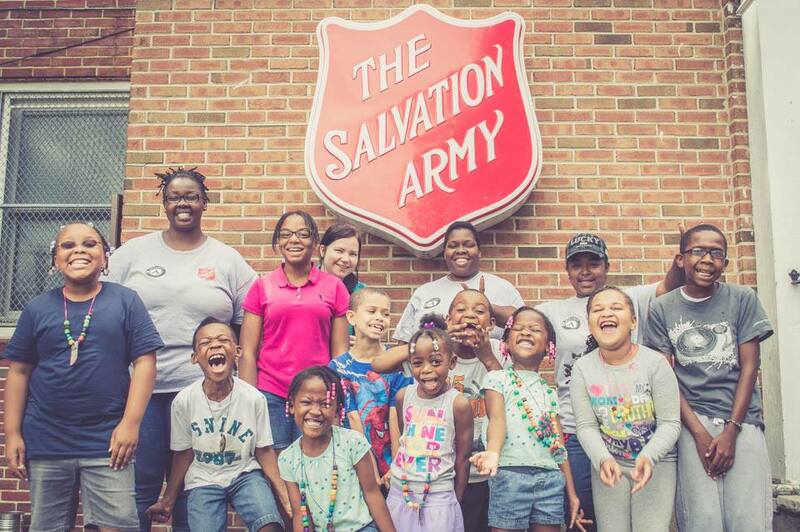 At The Salvation Army, we understand that simply opening our doors is not enough. With this in mind, we have developed a program to expose our youth to as many new physical and educational opportunities as possible. Academics First: "It takes a village to raise a child" is an old proverb which means that it takes an entire community of different people interacting with children in order for children to experience and grow in a safe environment. The villages would look out for the children. The Kidz Count Program is taking steps towards bringing that philosophy to the forefront again. By working with both the school and the parent, The Salvation Army can help identify the academic needs of every child enrolled in Kidz Club. College student volunteers, corporate support, in-kind donations, and community partners are all valuable components of the team that makes up that "village". Every child is required to bring in a copy of all progress reports and report cards throughout the school year. If any child has a GPA fall below 85%, an assessment meeting is scheduled with the child and parent to discuss tutoring options. If a child is on any Salvation Army team (e.g. basketball, dance, drill, etc. ), and has a GPA fall below 85%, tutoring is no longer an option, it is a mandatory requirement to stay in good standing with their particular team. Job Readiness Training: While we strive to give every child the encouragement and tools to pursue higher education, we also understand that some individuals may have more of an interest in pursuing a skilled trade. Cultivating a growing relationship with the Buffalo Employment and Training Center (BETC) and Erie 1 BOCES, has given us the ability to connect our youth with local business professionals that can lead them to the right path. We also help them prepare for the workforce through resume writing, job search training, and mock interviews. Radio & TV Broadcasting: A hands-on class where the children learn the basics of the radio and film industry on site. This encompasses hosting and creating their own show and script ideas, as well as learning the importance of set designs, and the roles of directors, producers, and camera operators while on set.